Three billion people live in rural areas in developing countries. Conditions for them are worse than for their urban counterparts when measured by almost any development indicator, from extreme poverty, to child mortality and access to electricity and sanitation. And the gulf is widening, contributing to large-scale migration to urban areas. This situation exists despite half a century of rural development theories and approaches, and despite the global momentum built around the Millennium Development Goals between 2000 and 2015. Without greater progress on rural development, it is unlikely that the new Sustainable Development Goals will be met. This book calls for a new paradigm for rural development. 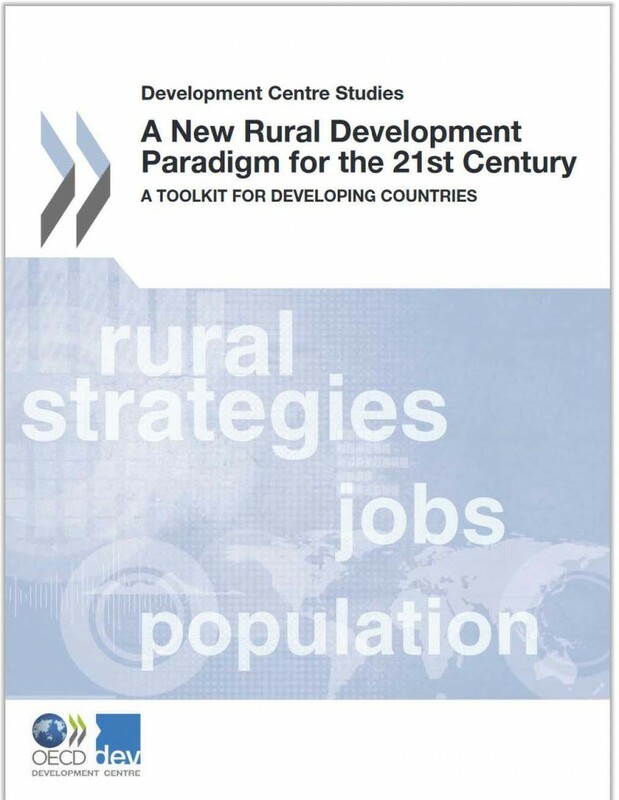 The New Rural Development Paradigm (NRDP) presented in this book offers a framework for building rural development strategies for developing countries in the 21st century. It is based on the lessons drawn from the country case studies, previous approaches and theories on rural development and the new rural paradigm for OECD countries, adapted to the reality of developing countries today. The NRDP contains 8 key components, a menu of 25 broad policy tools, and a 7-step implementation guide. Governance. A consistent and robust strategy is not enough if implementation capacity is weak. It is thus important for an effective strategy to build governancecapacity and integrity at all levels. Urban–rural linkages. Rural livelihoods are highly dependent on the performance of urban centres for their labour markets; access to goods, services and new technologies; as well as the exposure to new ideas. Successful rural development strategies do not treat rural areas as isolated entities, but rather as part of a system made up of both rural and urban areas. Sustainability. Taking into account environmental sustainability in rural development strategies should not be limited to the high dependence of rural populations on natural resources for livelihoods and growth, but also their vulnerability to climate change and threats from energy, food and water scarcity.